MARYLAND - A Mass of Christian Burial will be celebrated Monday at 10 a.m. at the Holy Family Church in Poland, officiated by the Msgr. William Connell, for Arlene Rose (Cole) Brownlee, 88, who died Tuesday, April 2, at her home in Annapolis, Md., surrounded by her loving family. Mrs. Brownlee was born on Feb. 6, 1931, in Youngstown, daughter of Clifford and Eleanor Cole. She was a graduate of Ursuline High School. After high school, Arlene worked at the Dollar Bank, and was married in 1953. She and her husband raised three children in Poland, where she was active in club activities, played tennis, and attended church at the Holy Family Parish. She later worked as a tax preparer for H&R Block. 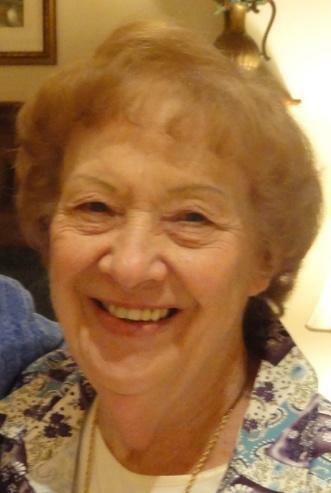 She was an active volunteer at the Butler Institute and the Poland Public Library for many years. She also served as president of the Poland Village Gardeners in the 1980s. In 2014, she moved to Annapolis to be near her daughter’s family. She leaves to cherish her memory, her son, Douglas of Akron; daughter Beth (Steven) Rizzi of Annapolis; grandchildren Kimberly (Jon) Miller of Columbus, Steven Brownlee of Columbus, Samantha and Laura Rizzi of Annapolis, and Elise Rizzi of Nashville; great-granddaughter Ivy Miller; and brother-in-law James Martinac. Besides her parents, Arlene was preceded in death by her siblings, Patricia Kopsco, Ruth Martinac, and Elmer Cole; husband Jack Brownlee; and son Robert. Family and friends may call Monday from 9 to 9:45 a.m. at the church. In lieu of flowers, the family asks that donations be made to the Poland Public Library via the Library Foundation. Professional arrangements by the Higgins-Reardon Funeral Homes, Poland Chapel.